The Yankees lost two of the three games that they played at the Rogers Centre against the Toronto Blue Jays after winning their previous five series that they played when they went 13-3. Their 17-11 record has them in first place by two games in the American League East, but they will need more production from the offense in the upcoming series against the Orioles at Yankee Stadium to win that series. CC Sabathia, who allowed four runs on nine hits in 6.1 innings, has to be more consistent as his ERA is now up to 5.45. He had an encouraging start on May 1, against the Boston Red Sox, only allowing two runs in six innings, but he was not able to be as effective on Wednesday. 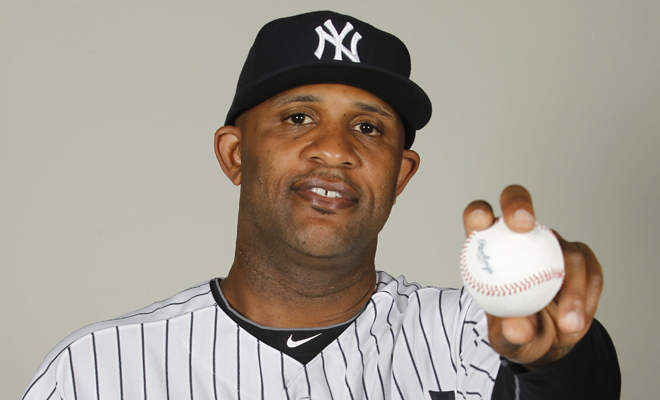 “I’m just good enough to lose right now,” Sabathia said after the game. However, Sabathia feels that his stuff is “1,000 percent” better than the last two years and a positive sign could be that he threw 93mph on Wednesday. Offensively, the team only scored one run in their two losses. On Tuesday, they won 6-1 as four different players drove in one or more runs and Michael Pineda had his best start of the season. However, they lost the series because the offense wasn’t consistent enough as it is very difficult to win a game when scoring only one run. The Yankees only had three hits in the loss on Monday. In the 5-1 loss on Wednesday, the Yankees only had two extra-base hits and were 0-6 with runners in scoring position. One positive about Wednesday’s loss was that Jose Pirela played in his first game this season after missing the first 27 games due to a concussion he suffered in spring training, and he went 2-4 with a double and a single. Pirela will be able to give the Yankees offense that they were not getting from Gregorio Petit or Stephen Drew. It is likely that Pirela will split time with Drew at second base, and he has replaced Petit, who was put on the 15-day DL with a bruised right hand, on the roster. Pirela had a .364 average with one homer and four RBIs in eight games across three levels in the minors this season and had a .333 average in seven games when he was called up from Triple-A last season. In 2014, in 130 games with Triple-A Scranton last season, he had a very good .305 average with 10 homers, 60 RBIs and 15 steals. Petit, who was signed when Brendan Ryan went on the DL at the end of spring training, only has a .200 average in 35 at-bats this season. He also 13 strikeouts and three walks, which has led to him having a low on-base percentage. He was brought in for his defense, but Pirela will be a major upgrade offensively and will be not much worse to about the same defensively. Pirela made one error in his 22 chances at second base in the minors this season. Drew, who has been the starting second baseman, has a very low .163 average in his 80 at-bats this season. His four homers and 10 RBIs are solid power numbers for a second baseman, but Drew only has two hits in his last 23 at-bats and has only one run batted in in his last 10 games. It will make sense for Pirela to get some of Drew’s at-bats because Pirela played very well at Triple-A and had a very productive spring training. Pirela can give a boost to the offense that Drew has not been able to. The Yankees will now play a four-game series against the Baltimore Orioles (12-13), who are in fourth place in the AL East. The Orioles have lost their last two games and have gone 5-5 in their last 10 games. Adam Jones has been by far their best player this season. He has an American League-leading .383 average with five homers, 21 RBIs and 17 runs scored.